Picture Book Den: How *not* to write a rhyming picture book (or If it's good enough for Old King Cole...) by Juliet Clare Bell. How *not* to write a rhyming picture book (or If it's good enough for Old King Cole...) by Juliet Clare Bell. Decide to have a go because you’ve seen lots of badly rhyming books out there and you’re sure you can do better. BUT they are often written in-house by staff at the publisher’s, in order that a series can be made quickly, with an illustrator they already have in mind, and without having to pay an author. (Check out the copyright details in the book. Does it say Text © X-Publishers rather than Text © Author’s name?) I once received a rejection from a publisher saying “We like your rhyming story, but it’s the kind of thing we can do in-house”. You are not competing with these stories (or with stories published twenty years ago and no longer in print. Check when your 'competition' was written: publishing practice has changed). Give the publisher a rhyming story that no one else can write better than you. Yours needs to be as worthy of being published as one by Julia Donaldson or Jonathan Emmett (see his Someone Bigger, below). Let the rhyme dictate the story. It’s great to play around with a story and get carried off in unexpected directions (and you can have a lot of fun with a good rhyming dictionary –I love the Chambers Rhyming Dictionary, with a foreword by Benjamin Zephaniah). BUT if your story is taken hostage by the rhyme (your sweet little rabbit heroine turns into a nun because 'habit' is the only rhyme you can come up with), it probably won’t be a very satisfying story –even if your rhyming is great. If you write your story out in prose, you will soon see if it’s substantial enough as a story or whether the rhyme is carrying it. The plot and characters need to be as strong as for one written in prose. Clever rhymes can be fun to read once or twice but the book won’t stand up to endless repetition if there’s no substance to the story. What’s wrong with Old King Cole calling for his fiddlers three (because a merry old soul was he)? Or with having five little snowmen fat (because each had a funny hat)? It’s easier to find a rhyme for three than fiddlers, and having fat at the end of the line scans better than ending with snowmen. So why not rearrange sentence structure wherever it suits you in order to make the rhyme work? Because… it’s lazy rhyming, it’s not how people speak and publishers don’t like it. If you have to make your sentence structure sound forced and unlike real-life speech, it’s not working. Old King Cole is great (and you can forgive a lot for a good tune), but it is of its time and it wouldn’t get a second glance from a 21st Century editor. These days, with his fiddlers three, Old King Cole would be published not. Don’t worry about meter and length of lines. Your readers will learn how to read it after they’ve tried it out five or six times. And then they’ll be able to enjoy it for years to come. But even when you’ve read it aloud and feel happy with the rhythm and rhyme, you know how it should sound. Which also means you can read some words more quickly than others in order to fit everything into that line and scan it perfectly. So let other people (preferably not family and friends who are either going to love it –good or bad- because it’s written by you, or not love it and upset you –I’ve had both). (For hints on joining or setting up a critique group, click here.) If other people read it and bits of it don’t scan for them, you need to work on the scansion-even if you can make it scan perfectly. Write a poem and call it a picture book. No need to think about the picture element and page turns. You’ve written a great poem. You want to get it published and you could submit it to a poetry anthology or you could send it to a picture book editor. Much better to get a whole book out of one poem, right…? Except that picture books are about the interplay of words and pictures. Readers will slow down to look at the pictures –you need to take this into account. 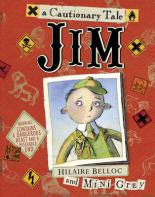 It can work –with a brilliant poem, a fantastic illustrator and a great publishing team (see Jim by Hilaire Belloc and Mini Grey, below). But it will need all the elements of a great picture book (with exciting page turns and changes in pace, etc.). Don’t read other rhyming stories before you start to write because they might curb your creativity and you might be too influenced by them. Much better to write straight off without reading what’s already out there. You’ll end up with something much more original… Except that you will learn a lot by reading a lot –the good and the bad (and think about why the bad is bad). I actually type out stories that I really like so I can look even more closely at the structure, words/syllables per line, internal rhyme, etc. Ones I’d definitely recommend are: Room on the Broom (Julia Donaldson and Axel Scheffler), Someone Bigger (Jonathan Emmett and Adrian Reynolds) and my personal favourite, When a Zeeder Met a Xyder (Malachy Doyle and Joel Stewart, below. When a Zeeder Met a Xyder actually uses rhyme more playfully –but you can use it more playfully once you really know how to use it). Write in rhyme just for the sake of it. you can do it really well and you’re going to get feedback before you send it off; because it’s great and fun and good rhyming books are brilliant for children. Do it because you can’t not do it as it’s the very best way to tell that story. Great post! #4 The reader isn't even going to buy the book if he/she has to learn how to read it! When I first started writing picture books I tried to write them in rhyme without paying attention to sense and well the stories were horrible. Although I am a poet I do not write pbs in rhyme anymore. Thank you, Rena. Good luck with your poetry. Great post, Clare, thanks for showing the hard work that goes into writing a rhyming text that reads deceptively easy. Don't have a great rhyme? Oh help me out Clare, dear friend of mine. I'll quit right now 'cause that's not a true rhyme! Sorry Clare, couldn't help myself. I'm on my first early morning cup of coffee! Truly love your post and love being a writing buddy! I am daily grateful for having two such great critique groups, which are so different from each other. And I love that everyone's prepared to be honest about a story, but always remaining respectful to the author. Brilliant, Clare! Funny and useful! I love all your pics. Great post, one I think I will be returning to. Thank you, George. Good luck with your stories. Lovely post. When an author gets it right, rhyming books stay in your head forever. I also love Noisy Nora by Rosemary Wells. Yes, Noisy Nora, great book about the middle child, an old favourite of mine. You're right -rhyming books can be the very best or the very worst children's books. Here's to more of the very best! Great post Clare, especially point two. I see so many books that go off on major random tangents because that's just where the rhyme takes them. Thanks, Gemma. Hope you find some gems, too. Interestingly, some publishers actually ask for you to write your story in prose as well if they like your rhyming manuscript so when it comes to foreign sales, they get a choice of manuscript style. Brilliant blog, Clare. I'll continue to write lyrical prose, not rhyme, because the publishing world is a better place without my rhyming tales, and now I know why! Lyrical prose is great. Although I love writing in rhyme, I always have prose as my default option now and only let myself write in rhyme if it really feels like it's the absolute best way to tell the story. Thank you for this great advice! When verse is done well, it's a joy to read to my kids. When it's not, well, it's pretty painful. So true, Clare. Julia D might achieve the right balance because of her experience in composing music for children. It does help to make the ideas physical by making a new blank dummy or manipulating an existing book - I like your Blutak idea under (4). I've never heard number 6 before, what fabulous tips, thanks a lot! Thank you, Catherine. Hope they help, Clare. Brilliant. I often hear #5! Thanks for the great 'how not to', which is, of course, 'how to', advice. Thanks. It really does interrupt the flow of a poem to look at the pictures and turn pages etc. Don't you just love it when a reader [non-writer] exclaims, "I can do that. It's easy." ROFLOL . . . bring it on, baby!!! The very best picture books look like they're easy to write (think Rosie's Walk). I don't think you could write picture books for the glory! Thanks for the information, I am revising a PB with rhyme and trying to make it work so this is very timely for me. Thank you. Hope it helps -good luck! Great tips for someone who only plays around with the idea of writing a picture book in rhyme. That would be me:-) Thanks, Juliet. You can still do fantastically rhythmical and lyrical stuff with prose. Try 'Charlie is My Darling' by Malachy Doyle (I look like I'm his publicist here! -but if you want a great example of lyrical non rhyming, you'd be hard-pushed to find a better one). Wonderful, informative post! I love the spread for The Kite Princess. Will the illos be in black and white or are they just partially complete or is that yet to be revealed? No matter which, they're beautiful. Thank you. The Kite Princess rough is the title page. The book is in full colour but I couldn't post up a page of the story without checking with my publisher and as usual, I wasn't quite organised enough! The final artwork was delivered last week and it's going to the printer's later this month. Yippee! Great post. I have a rhyming text with one verse that has a kink in it. I brought it to my critique group to read it aloud and the reader did not hear a problem when she read it in her thick southern accent. lol She added an extra syllable with her twang and thought it sounded great. Unfortunately, most of the editors and agents are in NY and L A and do not share that accent.
! It's been really useful having American as well as English writers in the critique groups I'm in as there are differences in pronunciation that mean I've had to change some lines. For 'The Kite Princess' I had to drop 'plait' from the end of a line as it didn't rhyme for Americans (and it'll be released in the UK and the US). Thanks for this. It's a great blog! I think I'm going to print it out and hand it to lots of would-be writers I know! Really helpful and true. Hi Juliet, Thank you so much for all your advice. It couldn't have come at a better time. I've been reading as much I could on picture books in rhyme and trying to practice it. I've learned a lot from this post. I'm going to check out When a Zeeder Met a Xyder as you recommended. Thank you Jennifer. Really glad you're going to read When a Zeeder Met a Xyder. It's less traditionally rhyming than most (and than the other two I mentioned), more quirky Edward Lear-y. I would definitely recommend it but I also think that it's worth saying that Malachy had a track record (lots of other books published already), so publishers might have been more inclined to take a risk -which resulted in a gem of a book. Well, I think I'd fall at the first hurdle - I'm rubbish at picture books! They are a LOT harder than you think. It's so different for different people. You write humour for older children way better than I ever could! I think 7 is so important. Many publishers advise people not to write picture books in rhyme, possibly because of all of the above, but also because of problems it causes in translation into other languages. and 4 - great advice to get someone else to read your picture book text, try to get someone who is not particularly skilled or used to reading out loud, or to children. They are less likely to work at getting it to scan. So if the rhythm works for them it is more likely to be right. It's true, and you have to be prepared to accept that something that rhymes brilliantly every time YOU say it, really might not when read by a prospective reader. As I mentioned in a comment above, I was speaking with an editor in a UK publisher, who says she nows asks for a prose version of any rhyming manuscript she loves and is interested in taking on. That way, when she's trying to get co-editions, overseas publishers who would need to get it translated have a choice. Which certainly shows up how crucial it is to ensure the story is good irrespective of the rhyme. BRILLIANT first blog, Clare - I knew you'd be a great addition to the Den. And you've brought lots of new readers with you, too! Congratulations. Thanks for your high praise of my When A Zeeder Met a Xyder. I agree with so much of what you say here - only rhyme if you absolutely HAVE to. Only rhyme if you're extraordinarily good at it. The best rhyming picture books are some of the very best picture books, and children love them - but most of the worst picture books are rhyming, too. And, as Linda says, publishers are VERY wary - it makes texts much more difficult to sell, because foreign rights deals are less likely, because people think it's hard to translate ryhme well. Thank you! What a lovely comment. And hope the tips help. 12x12 has been a great group and I know I'll end up writing more this year because I'm determined to complete twelve manuscripts in twelve months (in 2012). About a quarter are likely to be in rhyme, I think. Good luck with your stories, Helga. Story first - always. Thank you for sharing all your thoughtful tips and book recommendations. Thank you, Cathy. Enjoy the books, Clare. A great post Clare. Thanks for sharing that. Can we have a post on rhyming YA fiction next? ;) But seriously, great post. Anyone in a crit group should read this to allow for better critting of rhyming texts. And I like your nun! Julienne, if you'd like to try your hand at rhyming YA fiction, I'd LOVE to critique it! There is some older stuff in rhyme (eg Malorie Blackman's Cloudbusting). It would be fun... and thanks about the nun! Thank you, Amanda. The Kite Princess will be my third book as I've got an early reader coming out in May, too. I am also having to restrict myself to one exclamation mark about Imelda Staunton -it's very exciting! It'll be your third? Even better! I don't think you should restrict yourself at all, it's brilliant news!!!!!!!!!!!!!!!!!!!!!!!!!! and one more for luck ! Shucks! Now I'm going to have to do another go around with my nun rabbit ms... :-) Great post! I'm going to share it on my FB Page. Oh sorry, Julie. Perhaps I'm wrong and there's a book all about nun rabits just waiting to be written. Go on, challenge yourself. Thanks for sharing it, Julie. I have just had my first book published. It is a collection of poems for children. I have written quite a few stories all in rhyme and had some critique from a publisher who really liked one of my stories and suggested I re-write not in rhyme. I am finding this really hard what are your suggestions? Thanks for your message. Have you read lots of picture books? It's an excellent way to get a really good feel for what works. And it's worth checking out the recent ones (so you could go into a bookshop and read through lots of them -very carefully of course!). And if you buy some that you think are great, or get some really good ones out of the library, try typing them out and looking at them as manuscripts so you can see where the page turns happen and the shape of the story. That can really help give you a feel for it. I would really recommend joining SCBWI and there are all sorts of events where you can learn from other authors and editors and agents. We've got critique groups which can be extremely valuable in helping you make your story the very best it can be. My latest post is all about feedback on your writing, which might help (click on my name on the right hand side of the blog and it'll come up). And don't worry about your story not coming out perfect first time round: it often takes lots and lots of editing to get it right. Thanks for your comment, Angie. Have you ever tried joining a critique group? I'm not sure where you're writing from but there are lots of SCBWI critique groups all around the world, and there are lots of online ones, too. Sometimes you can just get too close to something and it's hard to see where to go with it whereas a fresh pair of eyes can come up with something really useful... Good luck, Clare. Hi Patricia, Are you writing from the States? Guidelines do change a bit between countries. For example, in the UK, we usually put in page breaks where we think they should go whereas many people in the States don't. But in terms of double spacing, I think that's pretty standard wherever you are. Check on individual publishers' sites in case they ask but otherwise, try it as you've said and really good luck! Clare. A lot of my meter was off, but I kinda kept telling myself that they'll learn to read it haha I am finally sitting down to tackle those lines with irritating rhythm. So glad it was helpful. Good luck with those lines! I cannot agree enough about this post. Every aspect you've touched upon nails it for me. In fact, I'm writing an article at the moment about what makes a winning picture book. If you don't mind I'd like to link back to your blog - it'll me re-hashing the very ground you've already paved. Brilliant. Thank you Leyland! And you're very welcome to link back to the blog. Do send me the link to your article when you post it up. Thank you. I love your tips. I've recently written a picture book series which I've sent a few off to publishers. I found it really easy to write them (which probably means they are ridiculously bad). I've since read a whole bunch or "dont's" online. My initial thought was "if my friends are being completely honest then there's no way that these won't get published!" Truth be told I'm not comfortable with having no negative comments. It does seem it was too easy to actually be good. I didn't write the first one with an aim to be published just as a joke baby shower present (so my gift trumped my friend's dramatic reading). They begged me to send it off for publishing, so I did. Thanks for your message. I'm glad you like the tips! Don't assume that what you've written must be bad if you did it quickly. It will almost certainly need to be edited, but it may be a very good start (the vast majority of my time writing picture books is taken up with the editing. Probably 80-90%, so I might get something written quickly but spend months getting it ready enough to send to an editor). Different kinds of writing come easier or harder to different people. I have friends who find it harder to write in prose than in rhyme, and others who wouldn't never even attempt rhyme. I would strongly recommend that before you send it to any other publishers or elsewhere that you get some feedback from people who aren't your friends, and who know about picture books. This will help you with your editing of the stories. I have replied to you privately by email as I do review picture book manuscripts (using tracking changes on their word manuscripts; providing a report, and having a one-hour phone/skype or in-person consultation). 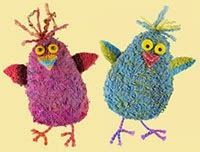 http://picturebookden.blogspot.co.uk/2012/07/clue-is-in-name-editing-your-picture.html which again might help you. Really good luck with your project. I especially liked #4... My jaw dropped when I thought you were serious. I laughed when I discovered it was tongue-in-cheek. Juliet this is a great post with very good advice. I work in children's publishing, and we get so much rubbish sent to us (I hate to call it that, because it represents people's hard work, but really - sometimes they'd have done better to work hard at something else! ), and in particular BAD RHYME! I particularly like the advice on copying better writers' work out to learn about structure and form. I am a painter, and that's exactly the same as learning about great art by copying it yourself. You learn ten times more than just by looking at it, and I am sure writing a piece down teaches you more about how it works than just reading it. Great post, and I'll look out for more. I have a blog myself at www.lifeinbooks.blogspot.co.uk if you want a read about thirty years in the book trade! Thanks for your comment, Richard. I'm a huge believer in copying out/taking apart other people's writing (good and less good) in order to learn more about the craft. I'd never made the connection with illustrators before but of course -that's what they do, too. Thanks about your blog, too. All the best, Clare. Brilliant post! I was sent here in response to a post I wrote about the mystery of bad kids' rhyme. In my case I'm guilt a little of #1, because in my niche (religious Jewish kids' books), there is just a flood of contemporary but awful poetry. Then again, I think I'm ALSO great at writing it, so there we go... hopefully, I can get away with it anyway. Thank you, Jennifer. You might just be great at writing it! Good luck with your writing, Clare. I know it was a while ago, but this post has stayed with me, so I linked to you from my guest post today about writing children's books on the Book Designer blog. Thanks! Thank you so much for all of this. I'm writing my first picture book and chose rhyme because it seemed to fit the characters. Now I'm finding it's going to be an uphill struggle even to get people to look at it. And I was thinking agents before publishers! Very helpful and feels like I've had a masterclass. Hello Ruth, Lovely to hear from you. If you happen to be near Birmingham in the UK, I do picture book evening classes where we cover rhyming (and non rhyming) picture books. I've had quite a few enquiries for doing it online so I may well do a picture book class online starting some time this year. Good luck! Clare. Great information! My first rhyming book is due out this summer. I've seen some great rhyming books out there and not so good ones. Great post! Thank you, Henrietta. Good luck with your book! Clare. This is very helpful. Thanks Juliet! Thank you, Olusola. Good luck with your writing. Clare. Thank you, Jennifer. Much appreciated! Happy writing, Clare. Hi Doc. Thanks for your reply. I've only just seen it. Sorry! I'd recommend joining the facebook group, PiBoIdMo 2011, where there are loads of picture book writers and if you say you'd like to join an online pb critique group, you can join one of the many that have been started up there. Good luck! Clare. All excellent advice! I'd add - don't just read it aloud in your own accent/regional variant of English. Publishers often find rhyme falls apart because it is region-specific. Two words that might rhyme the way YOU say them might not rhyme in Kent/Liverpool/New Zealand. Thanks, Anne. You're right -I'm lucky in that I'm in an online picture book critique group and there are lots of Americans in it, too, so I find out pretty quickly if things don't rhyme in any of their American accents. All the best, Clare. I think this is much needed advice, if we understood how not to write rhyming picture then we knew how to do rhyming picture, keep posting your thoughts on the blog. Thanks!!! Good luck with your stories. That's really interesting, and very relevant to something I've been working on. If it's in the public domain (like Old King Cole) then you're fine to use it. My book, The Kite Princess, was originally going to be a story to the tune of A Frog He Would a Wooing Go. 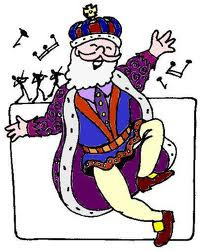 I went through lots of traditional songs in the public domain and came up with that one -and, funnily, Old King Cole! and then wrote the story to each tune (and chose the former). Although it was eventually changed to a story and not a song by the publisher, there was no issue with copyright at all. What I'm much less sure about (and which I need to know!) is how close you can get to something that is already copyrighted, like Hairy MaClary, in terms of style, before it becomes a copyright issue. There are parady books or those paying homage to certain other picture books (including ones similar to We're Going on a Bear Hunt) but I don't know whether they're ok partly because those books (like Bear Hunt) are also based on a traditional story that's not in the public domain...? Sorry for not being more help. My guess would be that using a similar style but completely different subject and words would be ok but I couldn't say for certain. Good luck! I'm glad you liked it. Thank you. Clare. Thank you and good luck with your story. If you write a single sentence to sum up the story and check each verse, is your rhyming story telling the story you really want it to tell? Maybe you need to let it sit for a while and go back to it with that single sentence and work out what it needs to get it as good as it can be... Good luck. We are always exciting to read through articles from other authors and practice something from their websites. Here you have shared lots of educational information for kids. Thanks. To grab early education for kids you can also visit our website www.uspstudios.co which is specialize on preschool kids songs.